In Germany voluntary additional qualification is offered in evening classes at so-called VHS-Volkshochschulen. They range from topics like language-courses to the daily applications of computers, to politics/society/environment, to health and well-being, to arts. 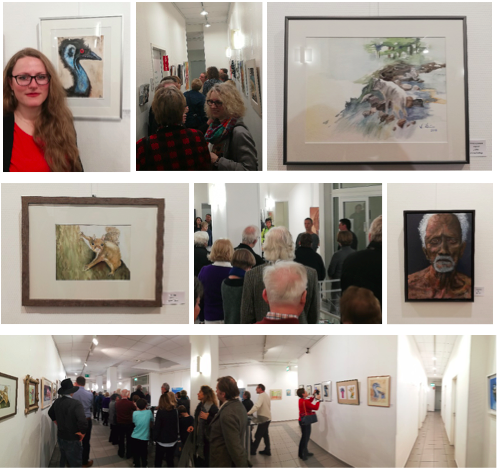 In Bergisch-Gladbach for example students from the local artist Frank Heller show each year their paintings within a public vernissage and exhibition at the rooms of the VHS-building. Students and teacher reward by this procedure the investment into the development of the civil society. In 1981 in Bonn/Germany a group of ladies - working interdisciplinary - founded under the leadership of the artist Marianne Pitzen (photo) the first Women's Museum worldwide. In 2018 it is supported by about 350 sponsors (for more information : frauenmuseum@bonn-online.com). Bonn is also founding member of the International Association of Women's Museums ( IAWM ), starting in 2008 in Meran/Italy and transformed in 2012 to a non-profit club. 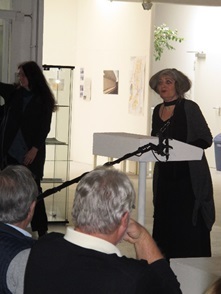 The International Club of Artists (LINK) presented in an exhibition at the Art Forum in the city of Gemünd/Germany the topic "In Search of Soul" : a typical question of the anthroposoph Rudolf Steiner and the Alanus University Bonn/ Germany - educational hub of IKV-founder Margareta Schulz and of Marie-Christin Hallier. "Is there at all a soul?" -- "Can the soul be located within human beings or animals?" -- "By which factors is the soul affected?" -- "Is the soul an individual self-reflection made visible among others by art?" -- Those are questions of the exhibition and between Philosophy, Art and Art Therapy. The first art-collection of Zar Katharina II originates from Prussia/Germany. The textile merchant and owner of the "Aechte Porcelaine Manufacture" in Berlin, J.E.Gotzkowsky (1710-1775), bought in 1763 for the Prussian King Friedrich II 225 Dutch and Flamish paintings, which the King had ordered but due to the costs of the Seven-Years-War (1756-1763) between Austria and Prussia had been no longer affordable for Frederic II. Gotzkowsky solved his own liquidity problem which derived from that situation by a deal with the Russian aristocrate W.S.Dolgoruki : the Russian got the paintings (passing them on to Katharina II in 1764) and Gotzkowski got in turn grain for the horses of Frederic II. Based on this initiative and the accumulation of art within the next two centuries now the Eremitage Gallery in the former Winter Palace in St.Petersburg attracts visitors from all over the world. Dr. Leyla Mahat has her academic title in Philosophy/Fine Art and is associate professor for Painting and Sculpture at the Art Faculty of the Kazakh National University of Arts in Astana/Kazakhstan.